WARSAW – Tax Freedom Day has come in Poland, and it has arrived three days earlier than last year. 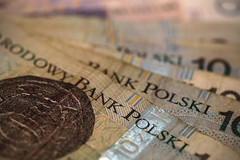 June 6th was the date of Tax Freedom Day in Poland for the current year, according to the latest calculations completed by the think-tank the Adam Smith Centre. Tax Freedom Day is a symbolic measure of the tax burden faced by taxpayers in any given country. The date of the Tax Freedom Day is calculated by comparing the total tax burden in a country, and comparing that to the total tax take in the same area for the same timeframe. Tax Freedom Day is intended to represent the point in time where taxpayers would have earned enough to pay off their tax obligation for the year. In 2017 Tax Freedom Day in Poland was on June 9th, 3 days later than in 2018. WARSAW – The upcoming retail tax in Poland unfairly burdens foreign companies, which will result in local business paying only 5 percent of the tax. 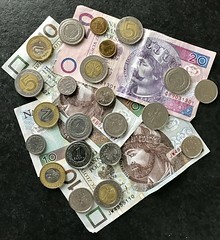 In a press release issued on July 7th the Director-General of EuroCommerce Christian Verschueren claimed that retailers in Europe are “taken aback by discriminatory Polish retail taxes” which are claimed to impose disproportionately heavy burdens on foreign retailers working in the country. Under the scope of the new tax any physical retailer operating in Poland which have a monthly turnover of between PLN 17 million and PLN 170 million will be subject to a tax of 0.8 percent, while retailers with higher turnovers will see a tax of 1.4 percent. WARSAW – Large retailers in poland will soon be facing an extra tax on their profits, with hiked rate for weekend trading and holiday specials. On January 25th the Finance Ministry of Poland announced that a new progressive tax will soon be enacted on large retail stores operating in the country. The new tax will be levied at a rate of 0.7 percent on retailers with monthly sales of between PLN 1.5 million and PLN 300 million, and at a raised rate of 1.3 percent on businesses with sales exceeding PLN 300 million. A further raised tax of 1.9 percent on profits made by large stores on weekends and during holiday sales.